I have been a huge fan of The Criterion Collection since the days of Laserdisc. Back then, Criterion would release any film on Laserdisc. We got Ghostbusters, Boyz 'n the Hood, Dead Presidents, Tootsie, Forbidden Planet, Taxi Driver, and King Kong. The list could go on for days. Needless to say, that there were a lot of different films that got the Criterion love. When Criterion entered the dvd scene, focused more on foreign films and less on the crowd-pleasers. Sure, they had films like The Rock (the film not the guy, but that would have made for a really interesting Criterion release) and Armageddon in their collection, but that was to keep the lights on while they scoured the earth looking for the next french-language film that they could give the royal treatment to. Criterion has been on a roll on blu-ray. The popular films are mostly gone, but they have still gotten their hands on some truly remarkable films. Just in the last year they released Lady Snowblood , The Graduate , The Manchurian Candidate , Hidden Fortress, The Player , Dr. Strangelove , The New World . Beyond the Valley of the Dolls . and A Touch of Zen . Criterion had a great 2016. Blood Simple is a great film noir. One that was made 30 years after the genre had its hayday, but it is still a great film. This is the film that introduced the world to the Coen Brothers, who would go on to make films like No Country for Old Men, Barton Fink, and everyone's favorite of theirs, The Big Lebowski. They know the meaning style over substance, but rarely ever commit to it. Instead, they make films that have great characters and memorable scenes. 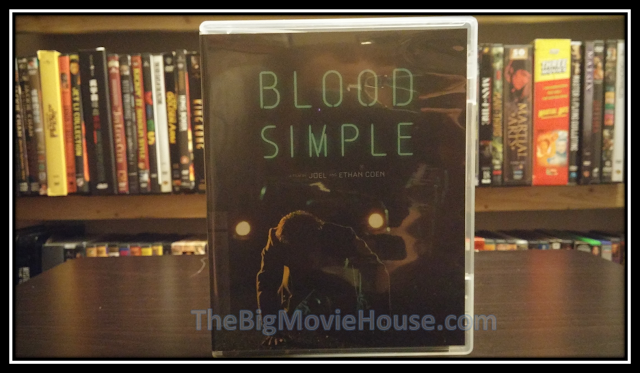 The Criterion Collection release of Blood Simple is fantastic. The 4K remaster of the film is gorgeous with the film looking the best it has ever looked. The special features are a crash course in filmmaking. There is an hour-plus commentary/interview/lecture with the Coens as well as Barry Sonnefeld, who was their director of photography until he went off and started making films on his own. Here they dissect the film, not by meaning or comment, but by how the film was shot and how they were able to make the film look like a normal budgeted film, when in reality they had a fraction of that. We also get an interview with the Coens. This, and the above mentioned feature, are rare because the Coens don't like doing press or dvd/blu-ray special features. In fact, they have only done one "real" commentary track and that was for The Man Who Wasn't There. Here they come off as very shy, but the interviewer get them talking and that is where the learning starts. The rest of the disc has the normal interviews with some of the cast and the film's theatrical trailer. These are common on any blu-ray, but that is not to take away from their quality. These are still very entertaining interviews and a lot can be learned. Overall, Criterion did an amazing job on this blu-ray. If you are a fan of the Coens or even a film fan who is looking for something new to learn, then I can not recommend Blood Simple highly enough. Here is a film that took a long time for me to discover. I knew a lot about the film, but had never sat down and watched. Once I did, I kicked myself for not watching it earlier. 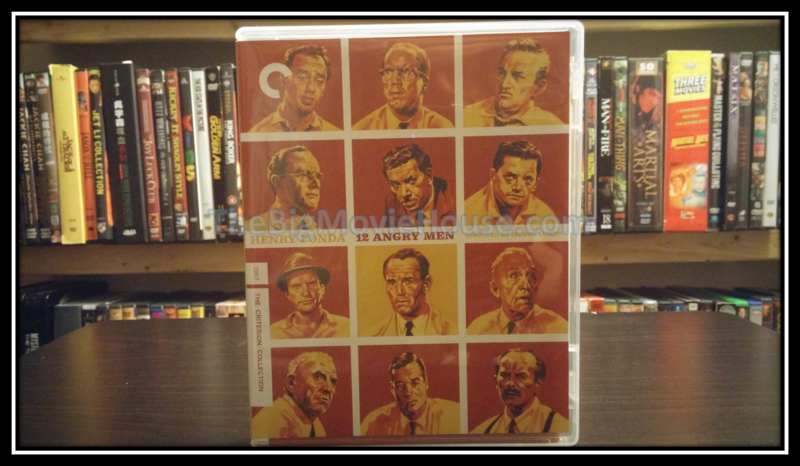 12 Angry Men is a film that anyone can watch. The story is simple: 12 men, on a jury, have to decide the fate of a young man who killed his father. At first it seems that everyone is on the same page: the guy is guilty. As the men talk about what they are going to do when they leave (going to a baseball game, go out to dinner, etc) Juror #8 is not so sure about the man's guilt. What happens for the next hour and a half is the deconstruction of what we think we know and what we need to discover. The film is almost perfect. The blu-ray, on the other hand, is about as perfect as one can get. We get a featurette focusing on how the film became a film (it was a teleplay first). I relish featurettes like this because we are getting to see things from multiple perspectives. Arrow Video has been doing these kinds of featurettes lately and they are fascinating. The also get the usual featurettes and interviews, but the big prize here is the original teleplay that the film is based on. It is a little bit rough around the edges and if you can get past the way it was recorded, then you will find that you have gotten two films for the price of one. The picture and the sound are incredible as well, making this an extremely well-rounded package. 12 Angry Men is a film that every should see, but probably won't because the film is in black and white. Oh well, their loss. I have a big man crush on Guillermo del Toro. I have since I saw the film Mimic back in 1997. There are times during a film lover's life that they fall in love with a filmmaker. Sometimes it is during a film that isn't their best, but there is something in that film that makes you respect them even more than you did before. With Mimic, it wasn't anything in particular, it was the fact that del Toro was making a monster film and making it scary. 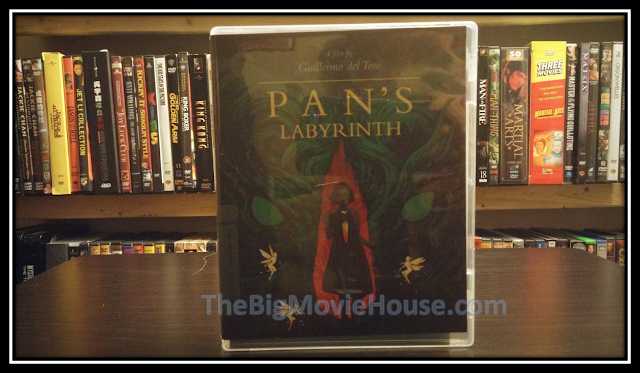 Every time that I watch Pan's Labyrinth, I fall in love with the film more. The beautiful cinematography, the brilliant visuals (not the cinematography, but the way things look and move), and the fairy tale feel to the film (I know that it is a fairy tale, but most don't know that going in). Everything about this film is wonderful. The special features are great too. Most of them are carried over from the first blu-ray release, but they are still fascinating and worth your time. The new special features give us a new prospective on the film. Doug Jones, who played the Faun and the Pale Man gives the best interview on the disc. He talks about his experience being the only white person on the set and one of the only English-speaking people on set as well. The 25 minutes that Jones talks is not enough and I wished that we could have gotten more. del Toro also sits down for an interview and he talks about fairy tales and their impact on children as well as adults.While this isn't as great as the Jones interview, this still is worth the watch. Take out a bit of the violence and this film is perfect for kids ages 10 and up. Just think about the kinds of "kids films" we were getting back in the 80's and you will have to agree with me. I think that fairy tales help us deal with the hardships of life and Pan's Labyrinth is a perfect example of that. I think that more people have seen Seven Samurai than can either remember or admit to. During my time working in video stores, I found that Seven Samurai was almost always rented out. Honestly, who could blame them? The film is a masterpiece of action and drama with a bit of comedy mixed for good measure. Seven Samurai was the film that introduced the cold open action scene: a scene that most likely has nothing to do with the rest of the plot. The film has been a staple of the Criterion Collection since the Laserdisc days and no better example of what the Criterion Collection represents. The Laserdisc was a marvel back in the day and when the film was first released on DVD, it continued to wow fans. When Criterion released the film on blu-ray, the label was still in its infancy on the format, but it didn't stop the company from doing the best job out there with the film. The film was given a new restoration for this release and it is the best that the film has ever looked. Even though there will probably never be a 4K transfer done, due to the negative being lost, one can hope that someone has it in their attic or somewhere else hidden away from the world. With the transfer being amazing, the special features are the next order of buisness, and this release takes what the older discs had and adds some much more. We get two commentaries: one that was a holdover from the older discs and one that is new. Both commentary tracks are worth a listen and give enough information for a few listens. 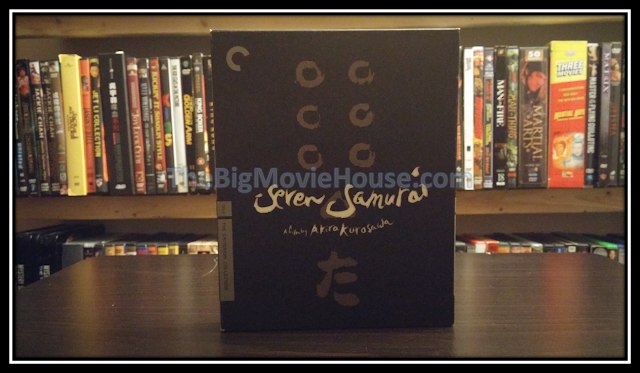 We also get a few featurettes and a very lengthy discussion with director Akira Kurosawa. Add trailers and the Criterion booklet, that has unfortunately turned into a leaflet over the past few years, and you have yourself one of the best blu-rays of all time. I feel like I am cheating by including this box set as the best Criterion Collection release, but I have my reasons. Like many who would include the Halloween boxset in their favorite horror blu-ray releases, it isn't just about the films, but also how something like this can be pulled together in a time when film rights are all over the place, especially when it comes to older foreign films. Criterion was able to take the first 25 films in the Zatoichi series and release them in one box set that didn't cost an arm and a leg like many feared. Not only were they able to get these films into one box set, but they also remastered the films as well. The first film, The Tale of Zatoichi, gets the 2K transfer while the rest get normal transfers, if you can call a transfer "normal". That is not to say that Criterion skimped out on the transfers. All of the films look amazing and it is a wonder that this set didn't cost close to $500. The one area that feels like it might have not been a focus is the special features area. We get one new featurette, an older documentary, and trailers for each film. Given that this is the first time these films have seen a proper release in the states (the older DVD releases were passable at best), one would think that each film would get it's due, but they do not. This isn't a bad thing though, as the films are not that long and don't really need the commentary tracks. It shocks even me when I say that less special features is better for this release. I would love commentary tracks on every film, but I have a feeling that they would grow old and stale after a while. I do wish that the first film had gotten a commentary track, but that is really it. 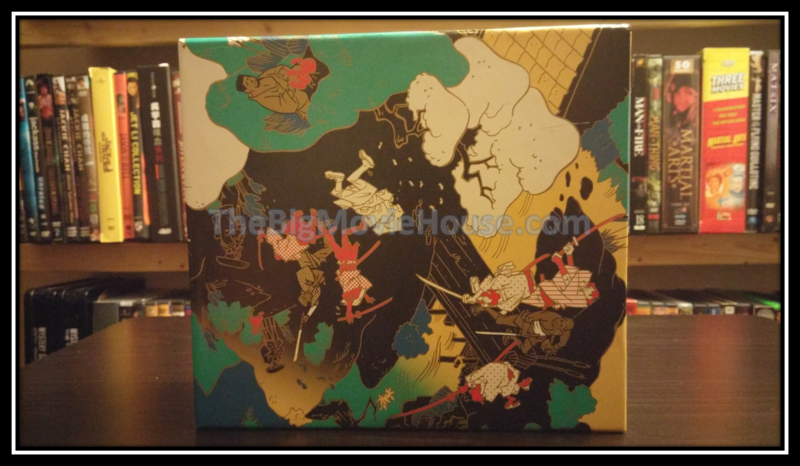 Given my minor complaints with this set, I have to say that this is one of the best box sets I have ever come across. Just the magnitude of what is included for the price is astounding. Put almost any box set up against this one and that box set will lose the fight. Criterion needs to be commended for their work on this set. It truly is amazing.